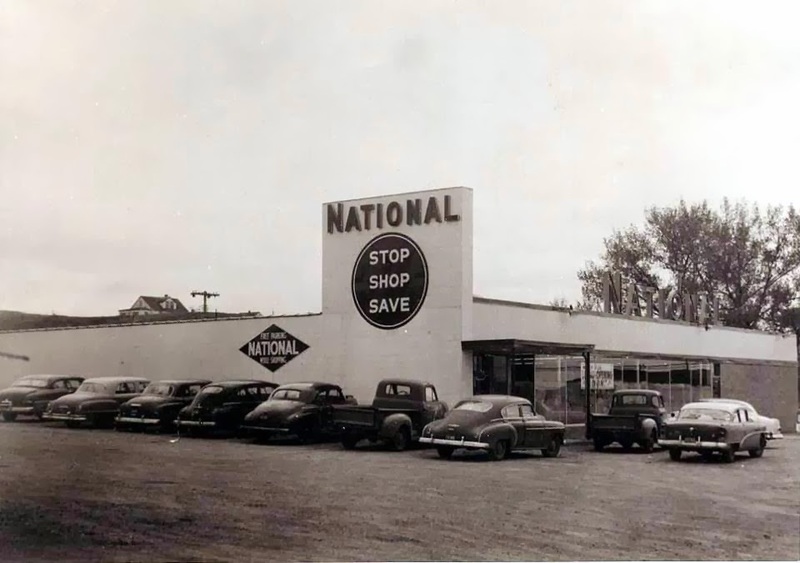 The National Grocery Store was on the southwest corner of Second Street and 4th Avenue SW… the intersection now known as Burdick Expressway and Broadway. The Building was built to be a grocery store. After National Food closed, the building went through a number of owners and various businesses. For a short time the building was home to a case lot, wholesale type store. 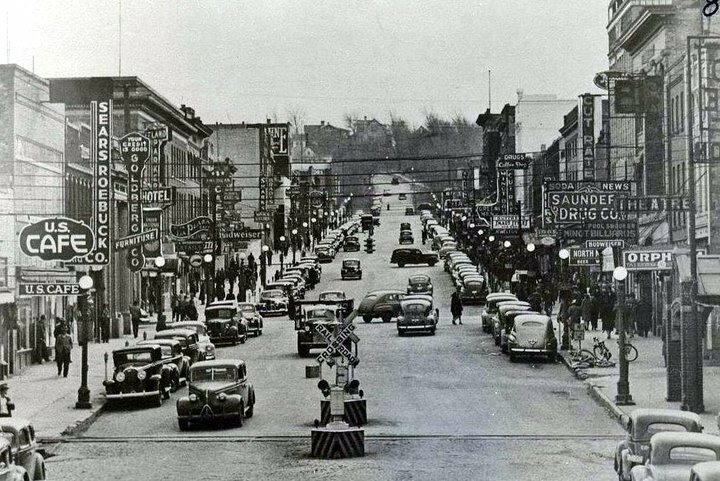 The when the Ace Hardware Store on First Street SW in downtown Minot lost their building to the construction of a parking lot, it became Ace Hardware. Then Scheel’s Hardware & Sporting Goods. In the early days of Scheel’s, they were more hardware than sporting goods. In fact The early Scheel’s Store was also a good place to find specialty baking products. After Scheel’s moved out, Schlotsky’s Deli occupied the north part of the building and the south side of the building was home to Tom’s Home Furnishings, a smaller furniture store. Later, the building was purchased by and became the home of Zimmerman’s furniture, which is still there.